Replacing your bathtub with a walk-in tub can be expensive, with costs ranging anywhere from $3,000 to $15,000. If you are planning to completely remodel your bathroom, consider updating your existing bathroom with these affordable safety bathing tips. Whether for yourself or a loved one, safety doesn’t have to cost an arm and leg. Her are a few affordable, safety solutions that will make bathing more enjoyable again! Bathtub surfaces are extremely slippery and dangerous for those with limited mobility. To reduce the risk of a slip and fall accident, consider installing a bonded slip resistant surface in just one hour to your bathtub or shower pan. Unlike regular bathmats that quickly collect mold and mildew, a slip resistant surface is more sanitary. Prevent accidents from happening by placing items like toiletries or towels in easy to reach locations. Difficult to reach items can easily result in injury if seniors struggle to over-extend their reach. Use baskets, towel racks, or shelves to place bathroom items in a safe, accessible location. To effectively help seniors safely move around the bathroom, install securely mounted grab bars to shower walls. 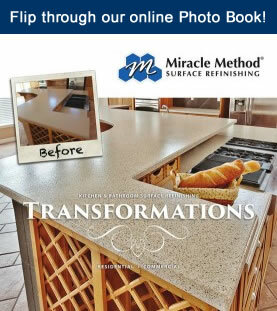 To ensure proper placement and installation, use a professional service or contractor like Miracle Method. 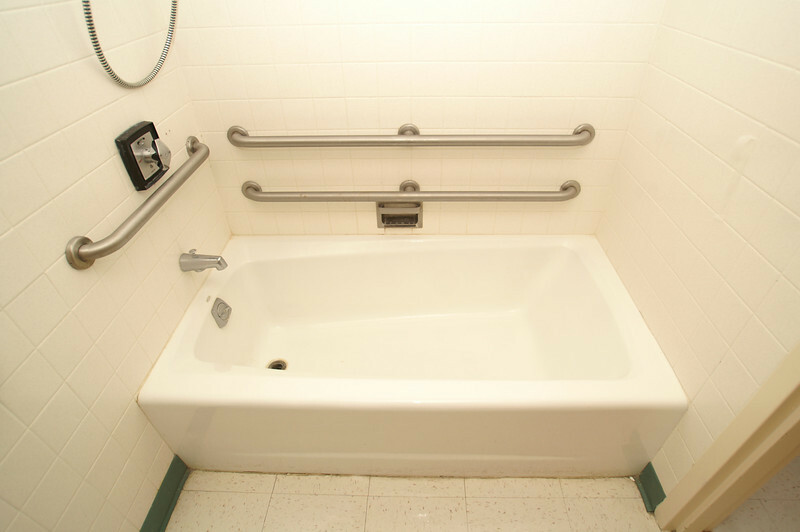 Contractors should use and be familiar with ADA placement guidelines for grab bar installation. A secure mount in easy-to-reach places provides immediate bathing assistance. Eliminate the risk of a serious accident while restoring your confidence within your very own home. A remodeling solution is expensive, time consuming and difficult in limited space areas. However, you can reduce the danger from stepping over high sides of a bathtub with a bathtub-to-shower conversion designed by Miracle Method. 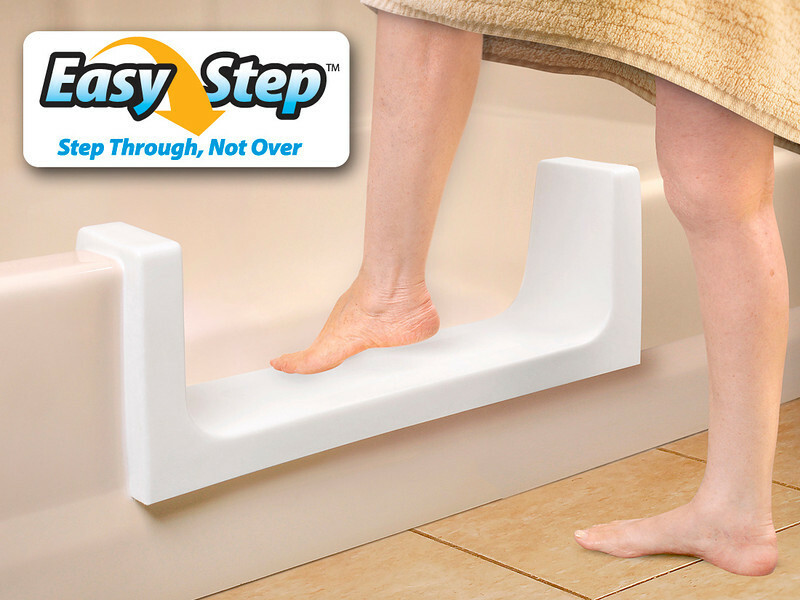 The Easy Step® conversion creates a 9” deep x 24” wide step, so you can confidently enter and exit the bathtub more safely. An affordable bathing solution doesn’t have to involve extensive renovation. Choosing a company like Miracle Method will save you time and money. Standing for long periods of time can be extremely difficult for seniors, not to mention an uncomfortable, added risk of falling. 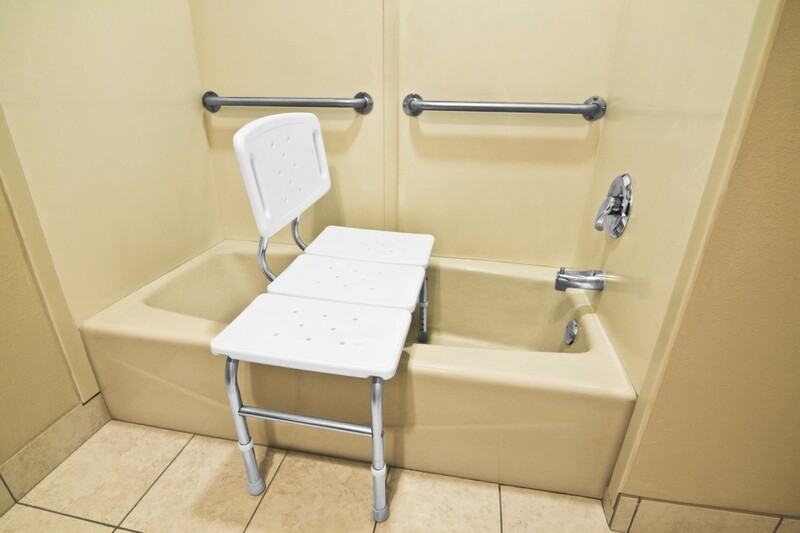 To ensure loved ones have the support they need during bathing, simply place a secure bench or chair in the shower. 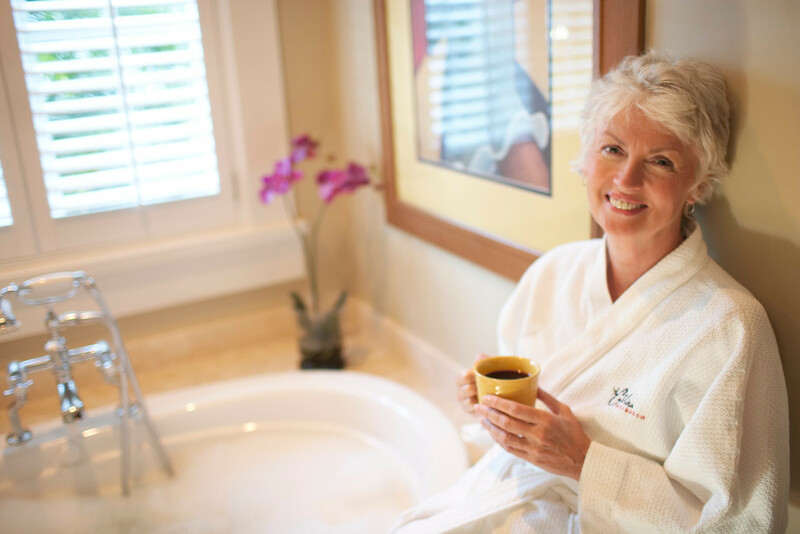 Staying seated during bathing increases stability and balance so you can enjoy bathing again. 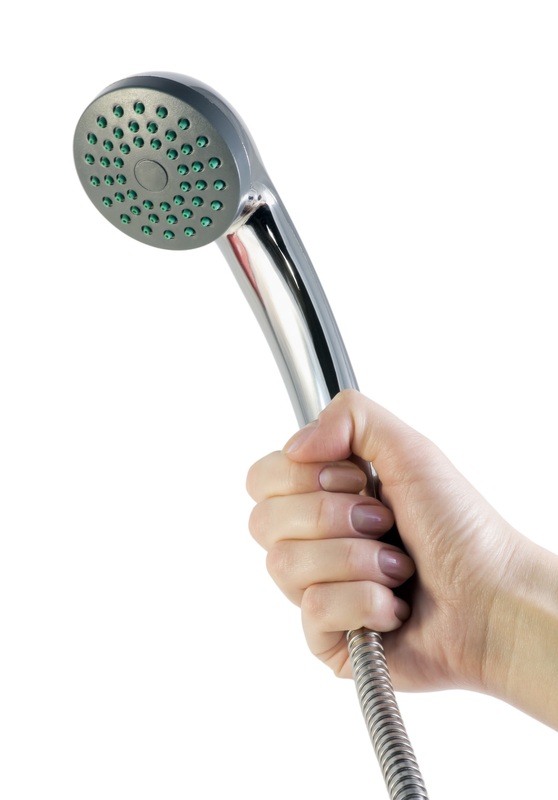 One of the most essential bathing safety accessories is a removable shower nozzle, perfect to use while seated. The functionality ranges from adjustable water pressure to an extended reach, allowing for a stress-free bathing experience. A simple trick to ensure successful independent bathing. Seniors, who are more likely to get up in the middle of the night will need proper lighting. An easy way to create essential lighting is to leave the bathroom light on at night or use nightlights in the hallway and the bathroom. Adequate lighting makes a huge difference in bathing safety. If you desire to stay in your home longer but want to do so safely, consider one of Miracle Method’s Bathing Safety Solutions Packages designed to fit your needs and budget. Contact your local Miracle Method at 855-212-7337 for more bathing safety information or simply click here.